Another week has gone by and now it's time for a new newspaper issue. 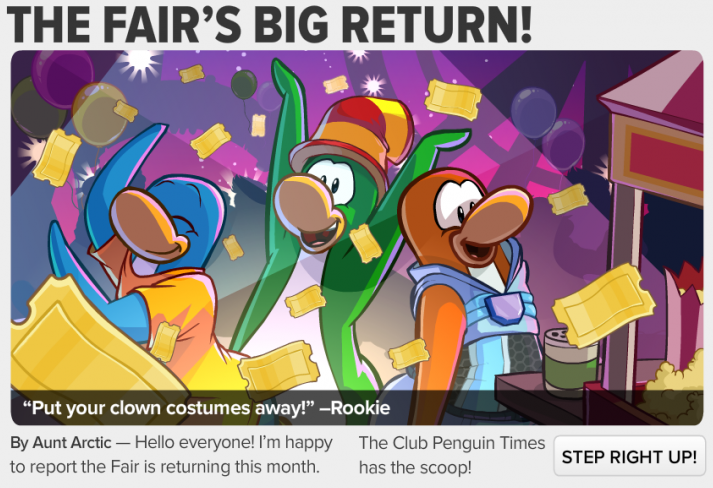 Every week Club Penguin releases a brand new newspaper that's filled with news and upcoming events. It's sad that we had to pack up our stuff and leave the prehistoric era. Don't be too sad though, Aunt Arctic tells us the Far will be returning this month! Gary next talks about the Prehistoric Party. Keep a look out for the new furniture & igloo catalog coming this month of February. The fair party starts february 20.